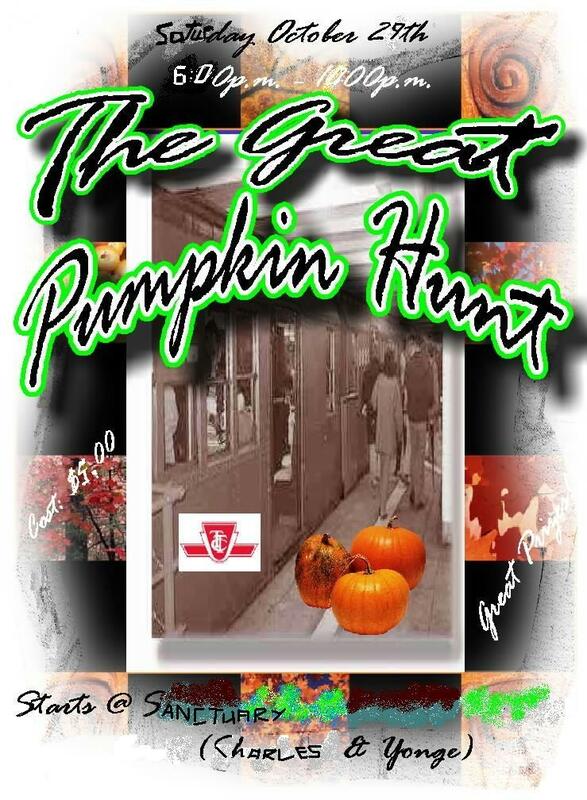 What: The event is a race through the Toronto Subway system to find "The Great Pumpkin". Participants from all over Ontario start at Sanctuary where they get into groups of 5, recieve clues, and then head out to find more clues in the subway. The final clue rests with an individual who holds "the Great Pumpkin". When that pumpkin is retreived the victorious team is rewarded with prizes. Last year we won 25 dollar gift certificates - sweet! Here are the details of last years triumphant victory. Bring your youth group and prepare to be humiliated!! Muwahhahahahah. i hope u all r ready 4 da B-unit!